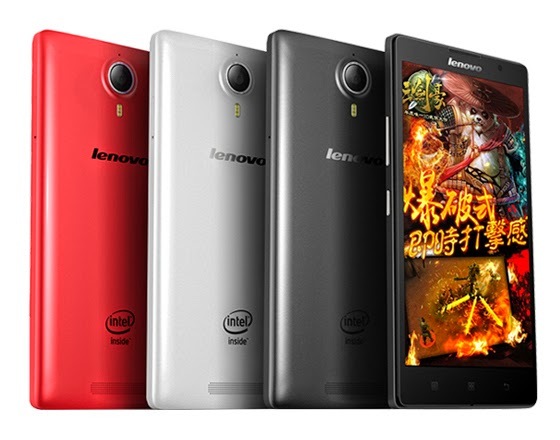 Lenovo K80 goes official with 4GB RAM and 4,000 mAh battery (Specs and Price) - Balita Boss! Chinese mobile phone maker Lenovo unveiled its new Android-based smartphone capable of competing against Asus ZenFone 2, the world's first smartphone to offer 4GB of RAM. Called Lenovo K80, the new smartphone will debut in China on April 30 for ¥ 1,799.00 (or ₱ 12,840.21 as of April 24 using Google Currency Converter). The K80 runs Android Lollipop, powered by 64-bit Intel Quad-Core processor clocked with 1.8GHz 4GB of RAM and 64 GB of internal memory, and packs in a huge 4000 mAh battery. A standard version of the Lenovo K80 featuring 2GB of RAM and 32GB storage has also been launched at ¥ 1, 499 (approximately ₱ 10,698.98). The 8.5mm Android device was made with a 4.5-inch IPS display capable of delivering a 1920 x 1080 pixels resolution, and will be available in black, silver, and red colour options. It offers LTE and a 13 MP rear camera with OIS (optical image stabilisation). At of now, there's no information yet if and when the Lenovo K80 will be available in other countries.